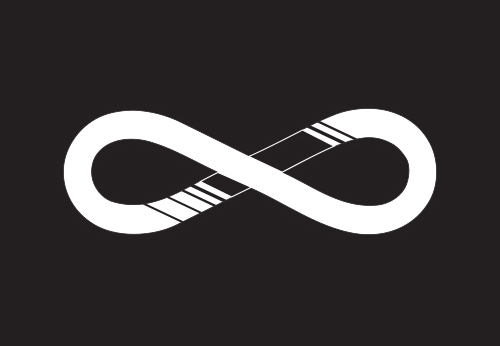 The infinity symbol represents the infinite within us all. It is connected, graceful and timeless. The coupled loops represent a union of the mind, body and spirit; our connection with each other and with nature. Its fluid form represents harmony. The icon doubles as a belt transitioning from white to black, representing perseverance and dedication to study... the belt then transitions back to white, representing humility, an open mind and the forever student. Because we're a school that includes multiple disciplines, I felt it was important to pick an icon that not only represents the depth of our practice, but also the broad scope of varying arts offered... yoga, meditation, ayurveda, taekwondo, jiujitsu, kickboxing, action strength, fitness bootcamps, etc. The infinite is open-ended and we look forward to future growth and opportunities to serve.